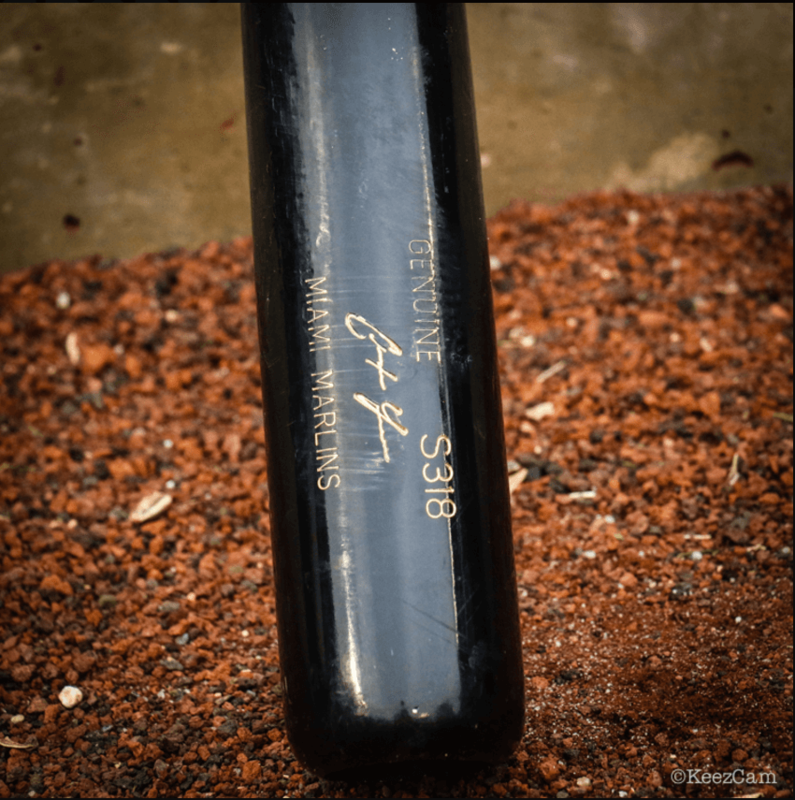 The bat that’s been causing all the damage is Yelich’s Louisville Slugger Maple S318 Bat. It’s a 34 inch, 31 ounce end-loaded model. Yelich’s S318 bat is cupped on the end which creates a more balanced feel, while also allowing for a more dense piece of wood. How? At the beginning of the bat production process, Louisville Slugger selects a billet (piece of wood) that will fulfill Yelich’s requirement of a 31 ounce weight. Since they know they’ll be cupping the bat, it allows them to select a more dense billet than they would if he did not request a cupped end. A healthy dose of pine tar below the label and on the handle provide a sure grip. You can purchase the model as a custom bat at the link. Categories: Christian Yelich, Gear, Bat, Outfield, Miami Marlins.